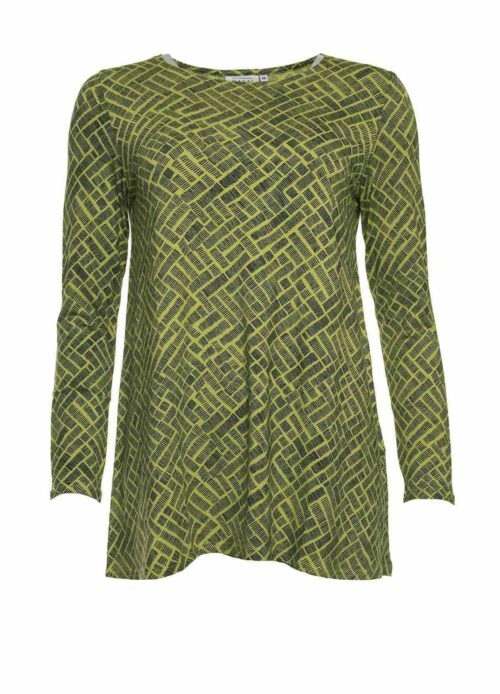 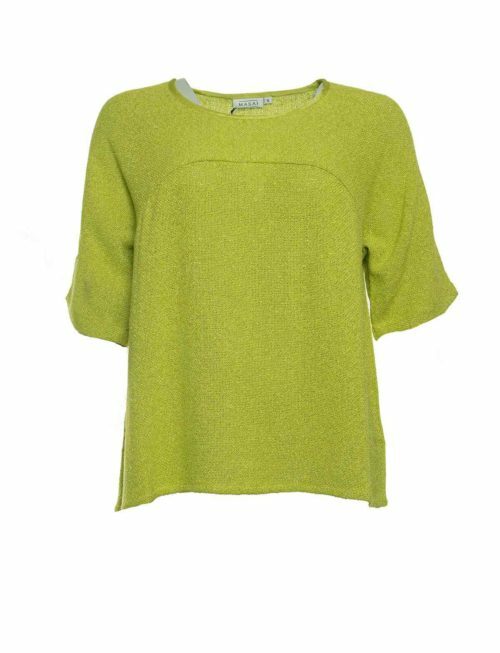 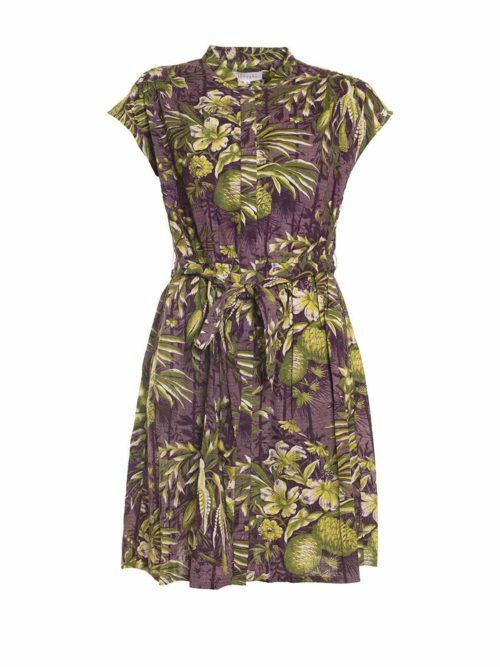 Gorgeous lime green Basia top from Masai. 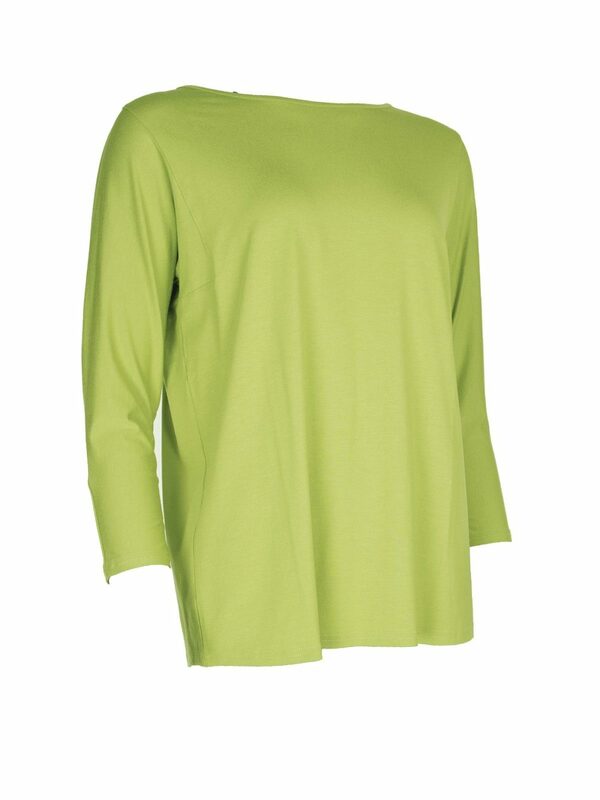 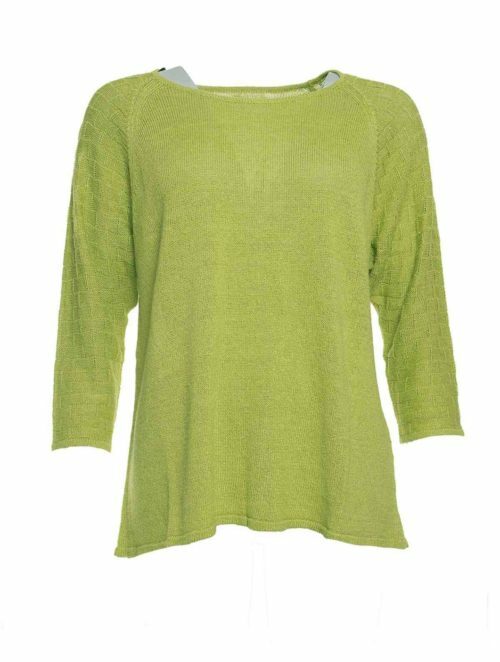 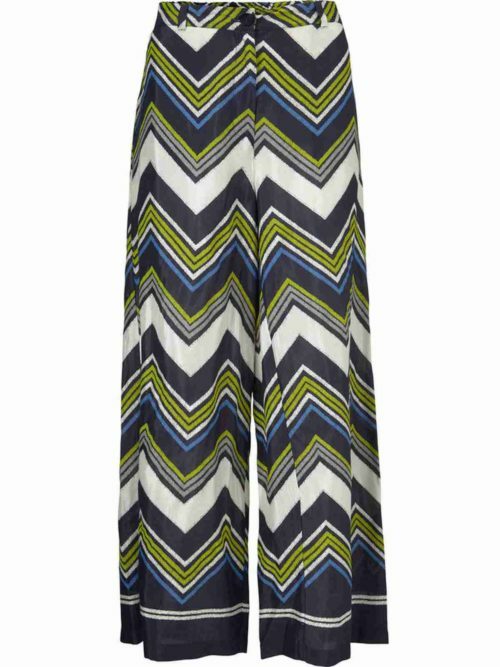 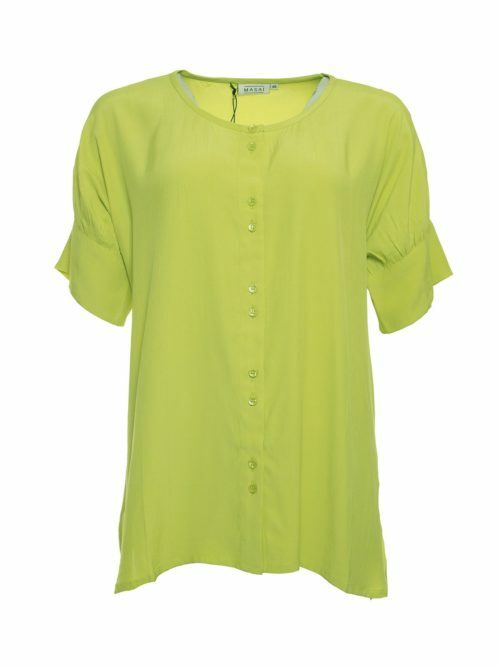 Katie Kerr Masai Basia top in lime green jersey. 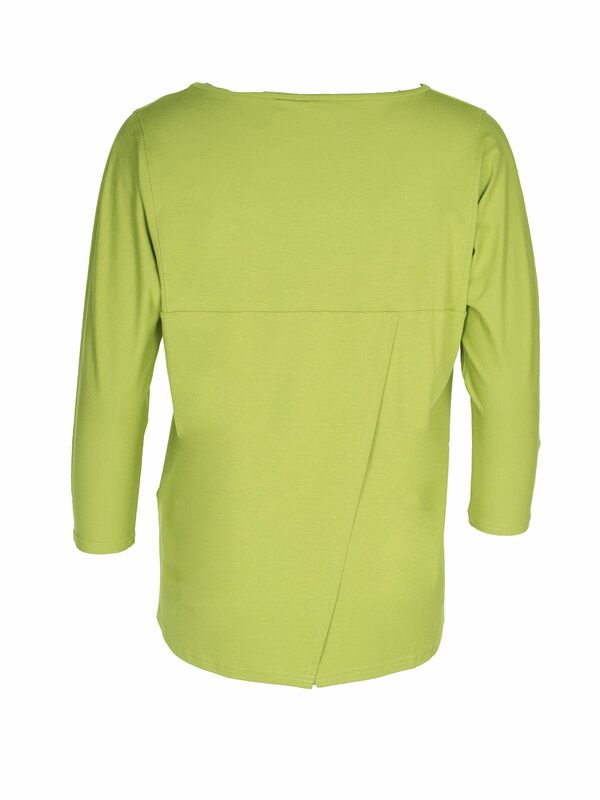 High round neck with stitch detail where the sleeve attaches. 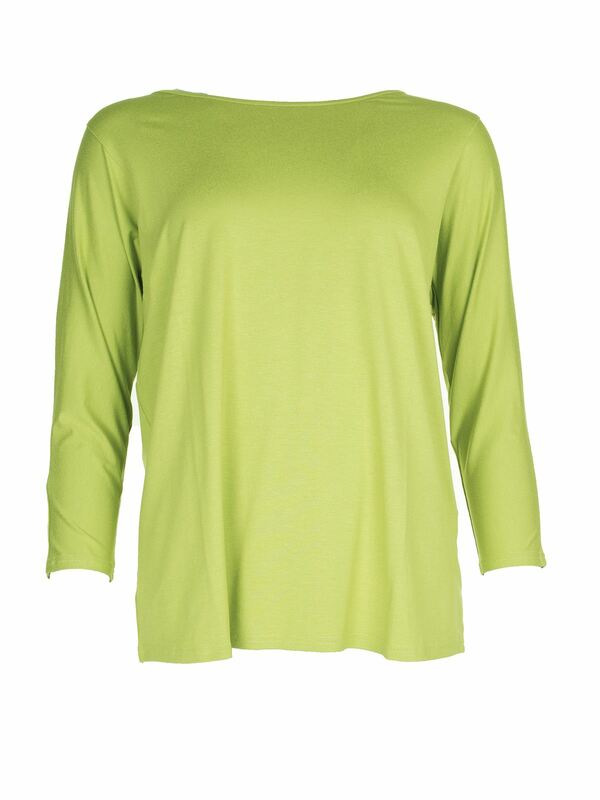 This top has ¾ sleeves and slit detail on the back. 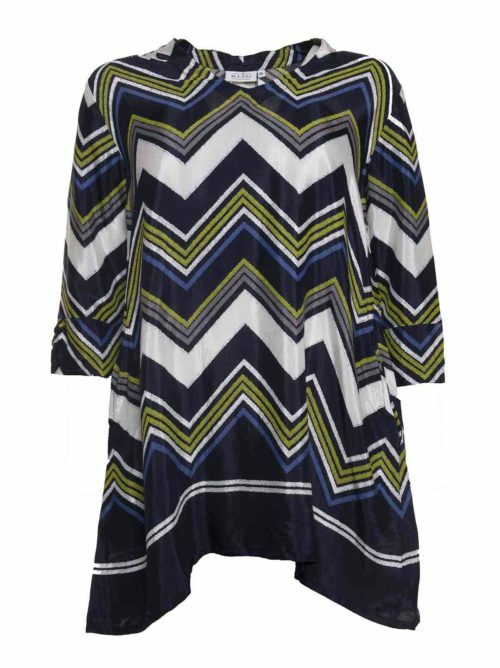 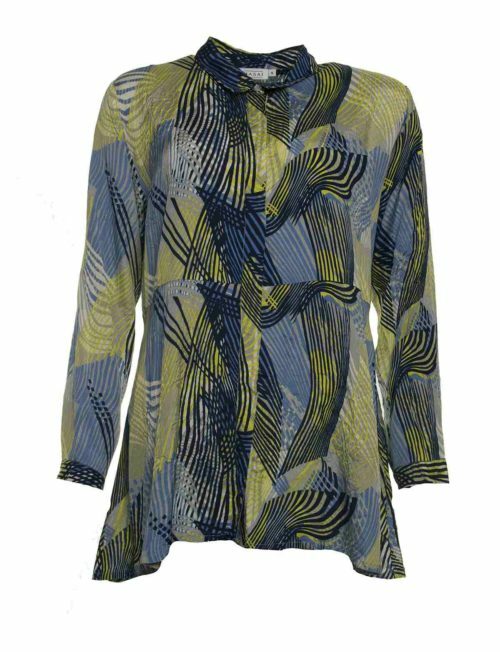 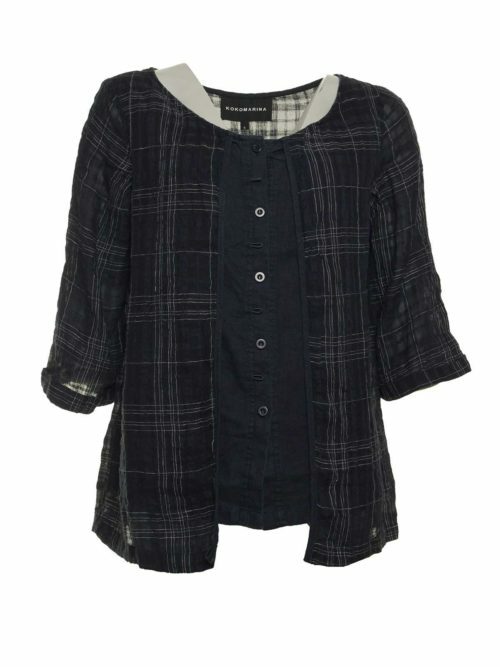 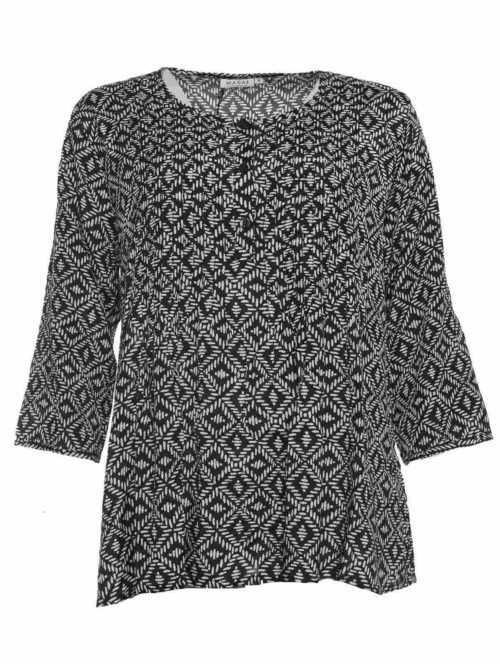 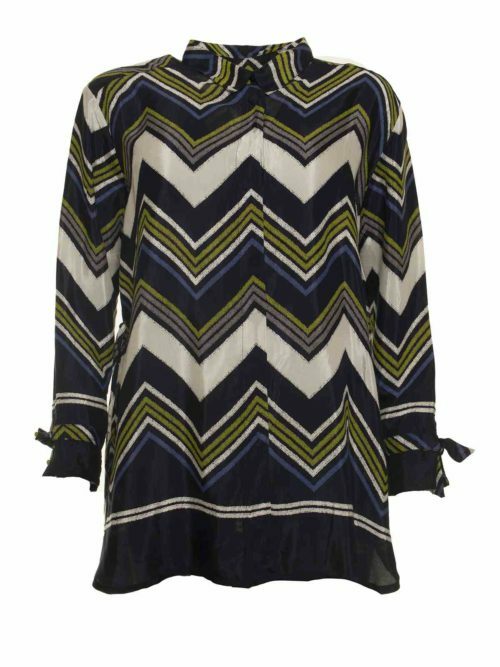 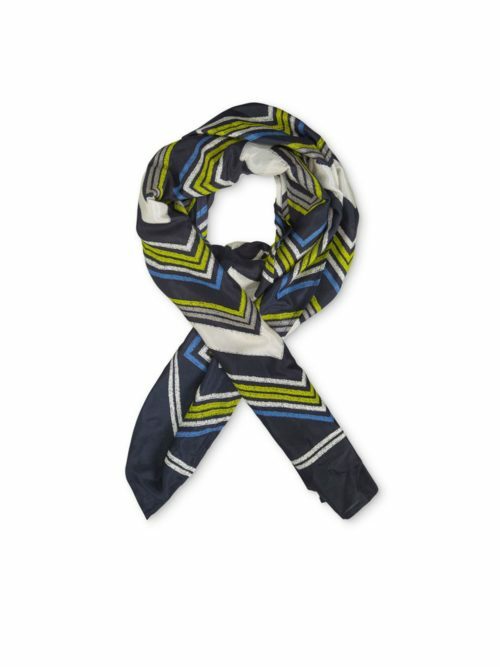 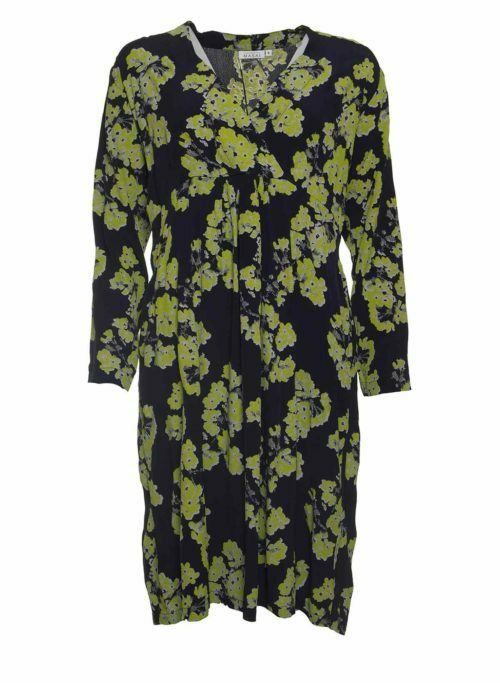 It is a lovely top to wear with plain or patterned trousers, stunning with black or navy.